There have been a couple of projects that have been keeping my greasy fingers away from the editing station and closer to the shed over the past few weeks. You’ll have to stay tuned for bit more coverage of our recent tall touring. Till then, here’s a little peek at what’s been happening in the lab. 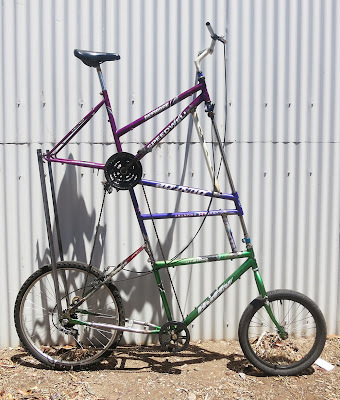 I have teamed up with Adelaide locals Bamboozled Productions to make a couple of strange cycles that will become part of little bit of entertainment during the 2014 Tour Down Under. 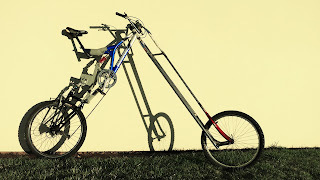 These machines will be accompanied by an assortment of unicycles with all of their various riders clad in some super costuming. We aim to provide some comic relief from the painfully uptight scene of lycra clad super humans battling each other in our searing January heat. I have been pondering performance oriented outcomes involving strange machines for a little while so the invitation to become involved in this project is one that I am quite excited by. Here are a few working shots of the bikes as they are becoming resolved. 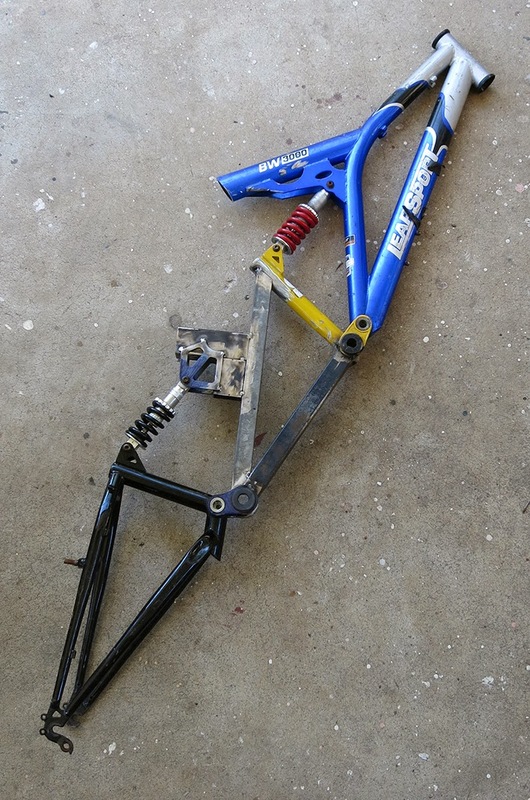 Recent play with old dual suspension frames led me to this frame design. Twice as many moving bits equals twice as much fun and, yes, for those of you familiar with the lingo – this thing is PLUSH! I’ve wanted to do a 3 high for a while. 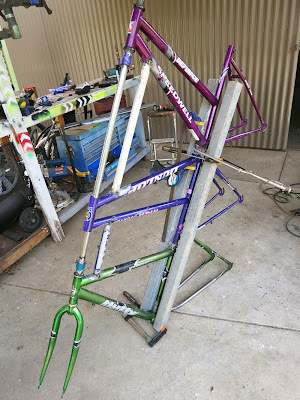 I had a small tech breakthrough with the resolution of an adjustable, disassemble-able headset, which is a common headache for multi headtube designs. 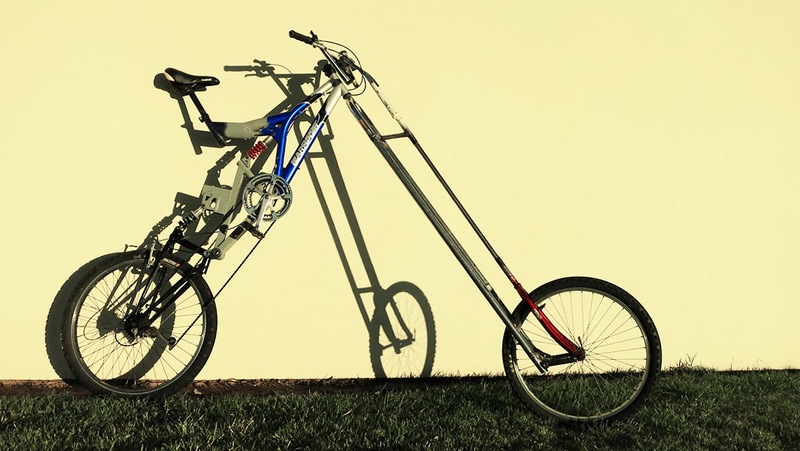 We’re hoping to fit a couple of extra wheels somewhere to this beast. Meanwhile, I’m still practicing the nuances of a graceful free mount. Keep your eyes peeled for more appearances of our wacky team during the TDU.